As we love celebrations here at The Lingua File, today we're celebrating one of the more important obscure holidays for language lovers, World Voice Day. World Voice Day is an international holiday organised as part of an effort by both European and American otolaryngologists, more commonly known as ear, nose, and throat (ENT) specialists. The goal of World Voice Day is to celebrate the huge importance of the human voice. In this vein, we thought we'd do our part and aim to establish what the human voice actually is. an actual photo makes them look disgusting. Most people have a vague understanding of the human voice. 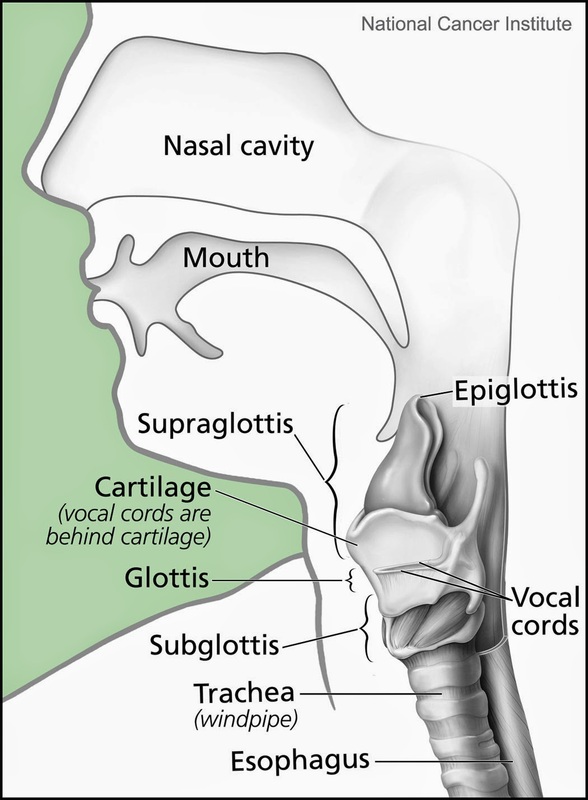 We all know that the voice is made using our vocal cords, which can be found in our throats. If you have ever seen Police Academy, and we're sorry if you have, then you will know that these vocal cords are capable of some amazing things. The cords themselves are incredibly impressive. They differ in size between men and women, with men's vocal cords being longer than women's, which is why men generally have lower voices than women. Though the size difference accounts for the tonal range of men and women, the cords can alter the pitch within those ranges. The muscles that operate the folds in the vocal cords are amongst the fastest in the body, allowing the vocal cords to change the quality of sound rapidly. It is this rapid movement that helps us to speak in our respective languages. When the vocal cords get together with our lungs, mouths, and tongues, we can make an incredible range of noises. The difference between certain phonemes, such as voiced and unvoiced phonemes, is due to a phenomenon in the vocal cords known as abduction. Abduction is when the vocal cords separate, rather than adduction, when they come together. If the act of abduction is sufficient enough to stop the vocal cords vibrating, the result is a voiceless phoneme, like the sound of the letter s in English, at least in most words. When the vocal cords are allowed to vibrate, the result is a voiced sound, like the letter z in English. When the effect of adduction is strong enough to almost fully stop the vibrations, the result is a glottal stop. If you remember our post on the IPA, the system used to identify almost every phoneme used in human language, then you'll remember that the human voice is much more capable than reproducing all the sounds of just your language. So we know the vocal cords are important, but what about the "voice"? We'll get to that on Friday. See you then!